Nancy Reagan, the helpmate, backstage adviser and fierce protector of Ronald Reagan in his journey from actor to president — and finally during his 10-year battle with Alzheimer's disease — has died. She was 94. The former first lady died Sunday at her home in Bel-Air, California, of congestive heart failure, assistant Allison Borio told The Associated Press. Her best-known project as first lady was the "Just Say No" campaign to help kids and teens stay off drugs. When she swept into the White House in 1981, the former Hollywood actress partial to designer gowns and pricey china was widely dismissed as a pre-feminist throwback, concerned only with fashion, decorating and entertaining. By the time she moved out eight years later, Mrs. Reagan was fending off accusations that she was a behind-the-scenes "dragon lady" wielding unchecked power over the Reagan administration — and doing it based on astrology to boot. All along she maintained that her only mission was to back her "Ronnie" and strengthen his presidency. Mrs. Reagan carried that charge through the rest of her days. She served as a full-time caretaker as Alzheimer's melted away her husband's memory. After his death in June 2004 she dedicated herself to tending his legacy, especially at his presidential library in California, where he had served as governor. She also championed Alzheimer's patients, raising millions of dollars for research and breaking with fellow conservative Republicans to advocate for stem cell studies. Her dignity and perseverance in these post-White House roles helped smooth over the public's fickle perceptions of the former first lady. 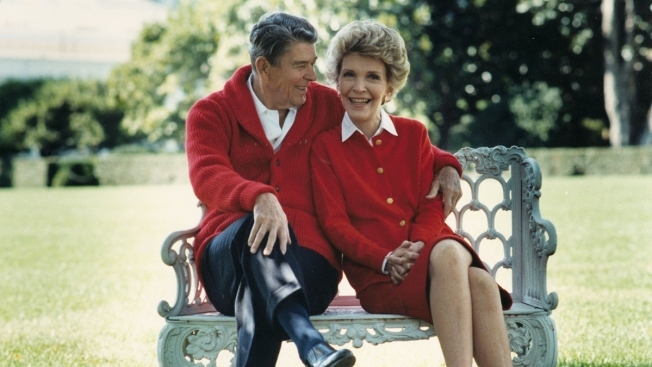 The Reagans' mutual devotion over 52 years of marriage was legendary. They were forever holding hands. She watched his political speeches with a look of such steady adoration it was dubbed "the gaze." He called her "Mommy," and penned a lifetime of gushing love notes. She saved these letters, published them as a book, and found them a comfort when he could no longer remember her. In announcing his Alzheimer's diagnosis in 1994, Reagan wrote, "I only wish there was some way I could spare Nancy from this painful experience." Ten years later, as his body lay in state in the U.S. Capitol, Mrs. Reagan caressed and gently kissed the flag-draped casket. As the newly arrived first lady, Mrs. Reagan raised more than $800,000 from private donors to redo the White House family quarters and to buy a $200,000 set of china bordered in red, her signature color. She was criticized for financing these pet projects with donations from millionaires who might seek influence with the government, and for accepting gifts and loans of dresses worth thousands of dollars from top designers. Her lavish lifestyle — in the midst of a recession and with her husband's administration cutting spending on the needy — inspired the mocking moniker "Queen Nancy." 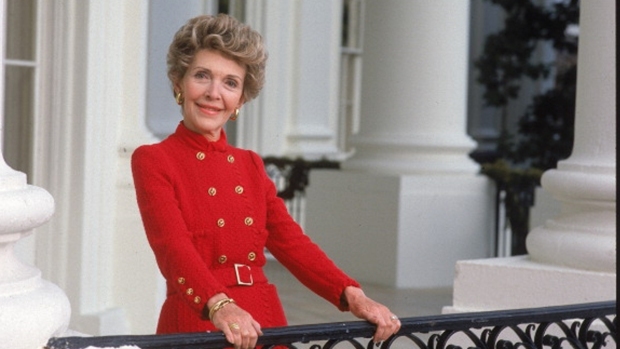 Memories of the remarkable life of First Lady Nancy Reagan. Colleen Williams reports for the NBC4 News. But her admirers credited Mrs. Reagan with restoring grace and elegance to the White House after the austerity of the Carter years. Her substantial influence within the White House came to light slowly in her husband's second term. 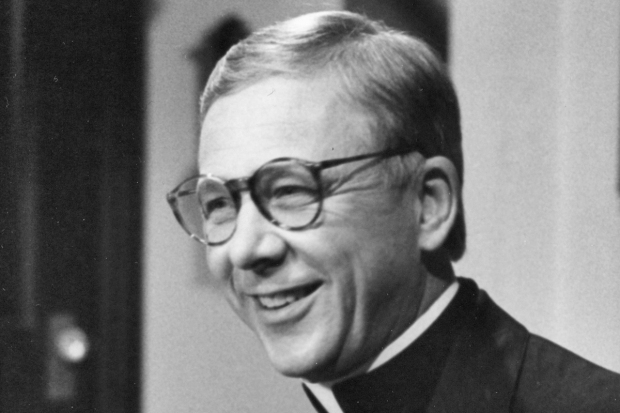 Although a feud between the first lady and chief of staff Donald Regan had spilled into the open, the president dismissed reports that it was his wife who got Regan fired. "The idea that she is involved in governmental decisions and so forth and all of this, and being a kind of dragon lady — there is nothing to that," a visibly angry Reagan assured reporters. But Mrs. Reagan herself and other insiders later confirmed her role in rounding up support for Regan's ouster and persuading the president that it had to be done, because of the Iran-Contra scandal that broke under Reagan's watch. She delved into policy issues, too. She urged Reagan to finally break his long silence on the AIDS crisis. She nudged him to publicly accept responsibility for the arms-for-hostages scandal. And she worked to buttress those advisers urging him to thaw U.S. relations with the Soviet Union, over the objections of the administration's "evil empire" hawks. Near the end of Reagan's presidency, ex-chief of staff Regan took his revenge with a memoir revealing that the first lady routinely consulted a San Francisco astrologer to guide the president's schedule. Mrs. Reagan, who had a longtime interest in horoscopes, maintained that she used the astrologer's forecasts only in hopes of predicting the safest times for her husband to venture out of the White House after an assassination attempt by John Hinckley just three months into Reagan's presidency. First lady Nancy Reagan and President Reagan stroll along the White House South lawn in this December, 1986 photo. Anne Frances Robbins, nicknamed Nancy, was born on July 6, 1921, in New York City. Her parents separated soon after she was born and her mother, film and stage actress Edith Luckett, went on the road. Nancy was reared by an aunt until 1929, when her mother married Dr. Loyal Davis, a wealthy Chicago neurosurgeon who gave Nancy his name and a socialite's home. She majored in drama at Smith College and found stage work with the help of her mother's connections. In 1949, MGM signed 5-foot-4, doe-eyed brunette Nancy Davis to a movie contract. She was cast mostly as a loyal housewife and mother. She had a key role in "The Next Voice You Hear ...," an unusual drama about a family that hears God's voice on the radio. In "Donovan's Brain," she played the wife of a scientist possessed by disembodied gray matter. She met Ronald Reagan in 1950, when he was president of the Screen Actors Guild and she was seeking help with a problem: Her name had been wrongly included on a published list of suspected communist sympathizers. They discussed it over dinner, and she later wrote that she realized on that first blind date "he was everything that I wanted." She was thrust into the political life when her husband ran for California governor in 1966 and won. She found it a surprisingly rough business. "The movies were custard compared to politics," Mrs. Reagan said.